by Joseph Morris Webb, Ph.D., D.Min. At Lincoln, Illinois, Joseph Morris Webb was salutatorian of the Lincoln Community High School Class of 1960, and in 1964 he earned a B.A. from Lincoln Christian College (now Lincoln Christian University). His father, John Morris Webb, was a professor and dean at Lincoln Christian College at mid-twentieth century. 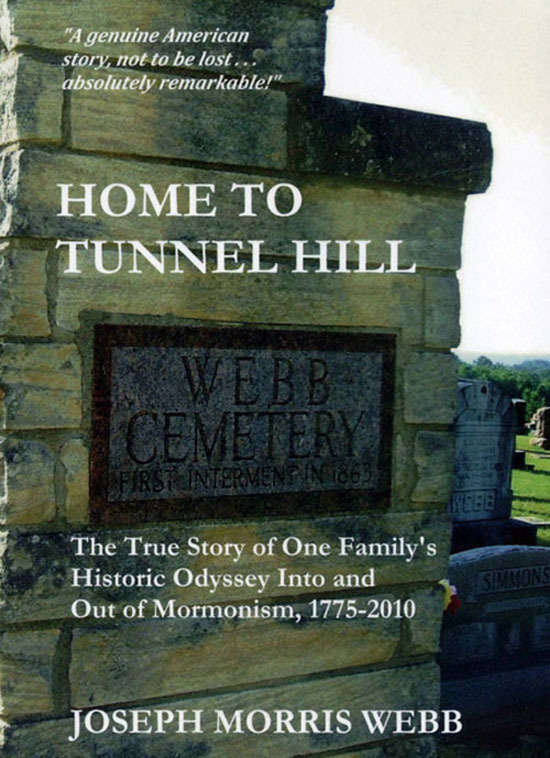 After decades of working first in journalism and then in higher education as professor and administrator at several institutions, Joseph Morris Webb published Home to Tunnel Hill in the summer of 2014. This book has 214 pages with 10 pages of black-and-white photos. Webb is a full professor in the Department of Communication Studies at Gardner-Webb University, Boiling Springs, North Carolina. 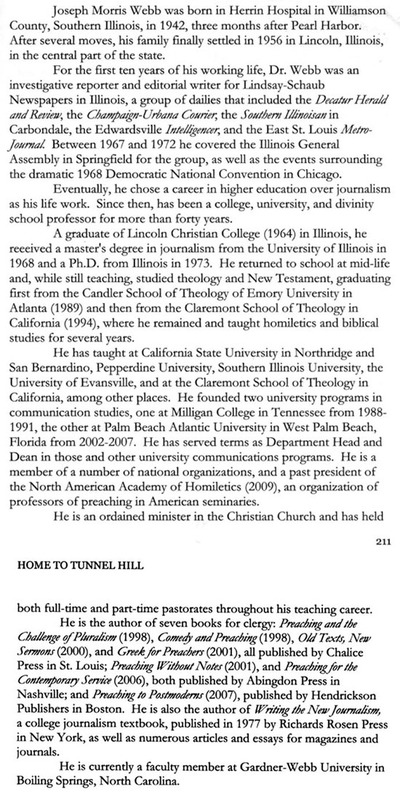 He is also an ordained minister of the Christian Church and the author of seven books for the clergy. Professor Webb's book is a major contribution to Illinois and US religious history. 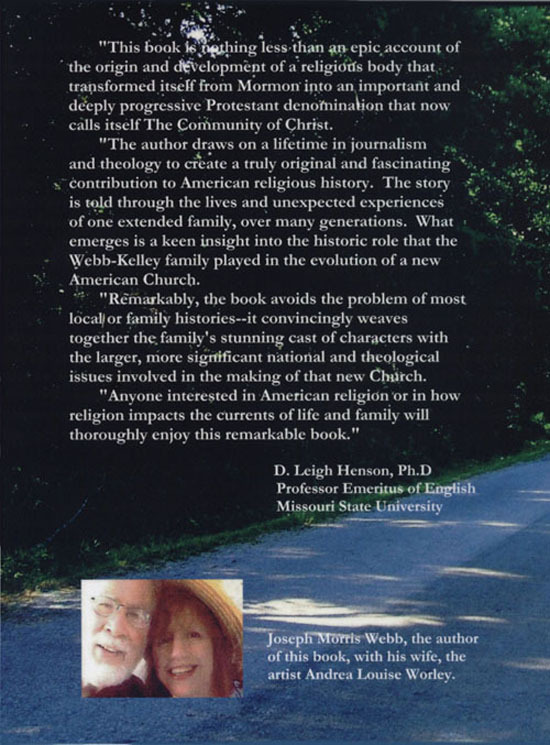 It tells how several interrelated families from deep in the Illinois Ozarks have played key roles in the foundation and development of the Community of Christ--a major, progressive Protestant denomination--from the early 19th century into the twenty-first century. This is a dramatic, multi-generational story with plot twists involving peculiar romance, love, and devotion as well as personal tragedy, polygamy, and murder. 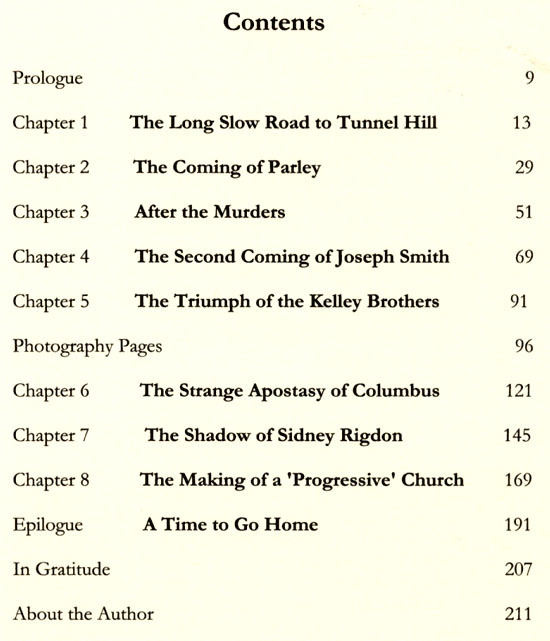 Book availability: http://www.blurb.com/b/5534820-home-to-tunnel-hill. 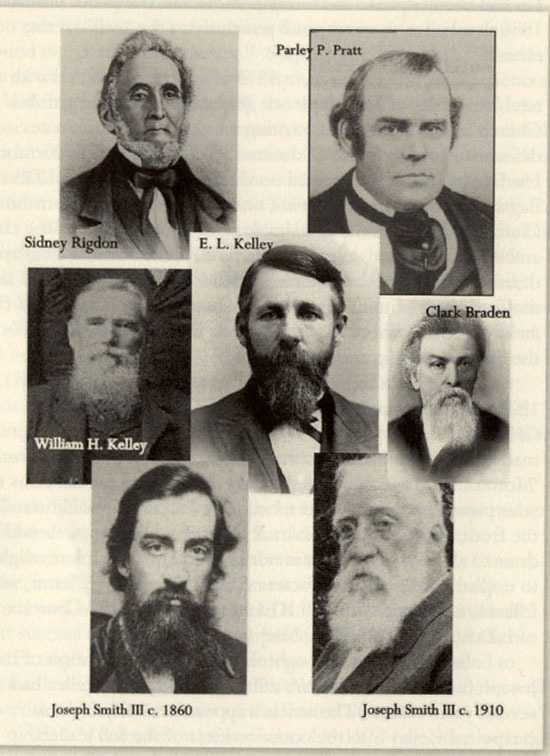 The first photo depicts early leaders of the Church of Jesus Christ of Latter-Day Saints (Mormons) and the Reorganized Church of Latter-Day Saints (now the Community of Christ) who took their messages to the pioneer families of southern Illinois (Illinois Ozarks). Availability of Home to Tunnel Hill: http://www.blurb.com/b/5534820-home-to-tunnel-hill. The Community of Christ Church (international), formerly the Reorganized Church of Latter-Day Saints (RLDS): http://www.cofchrist.org/. 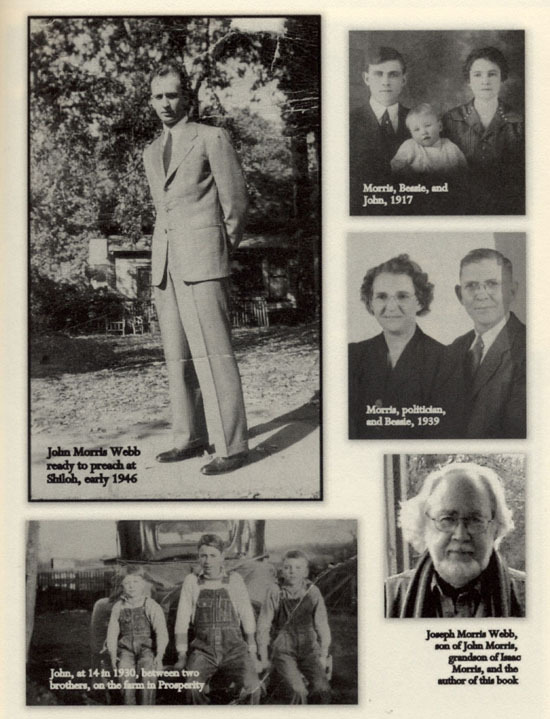 Henson, Alma Lee Rockett "Bud," selected pages from A Henson Family History featuring biographical information/reminiscence about John F. "Blackberry" Henson. He was an assistant to the RLDS evangelist Isaac A. Morris, and John F. became a legendary minister of the RLDS: http://findinglincolnillinois.com/hensonhistory.pdf (PDF suggested reading at 50%). John F. Henson was D. Leigh Henson's great, great grandfather. Henson, John F. "Blackberry," his gravesite at the Henson Cemetery, Wayne County, Illinois: http://www.findagrave.com/cgi-bin/fg.cgi?page=gr&GSsr=81&GScid=106118&GRid=66126099&. For information about Allen Nimrod Webb, including his Civil War military service; Parlee Webb Henson; Ruth A. Webb Henson; and D. Leigh Henson, see http://findinglincolnillinois.com/ruthhensons.html. 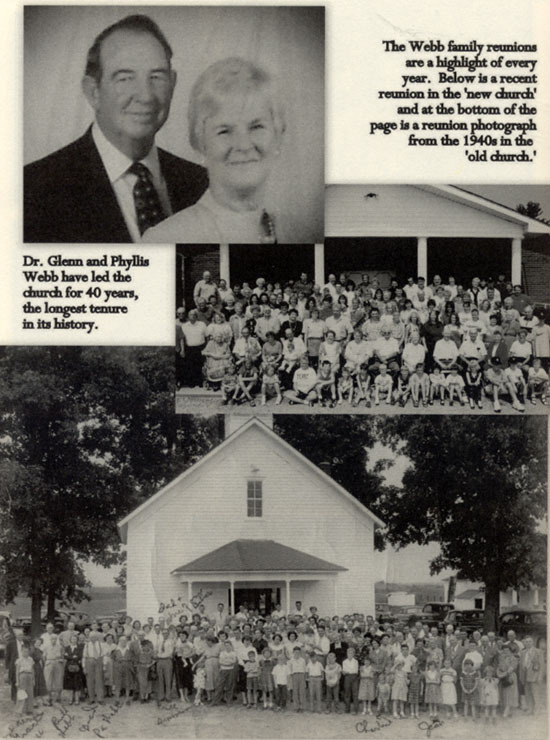 Pictorial Supplement: Webb/Henson Roots in the Illinois Ozarks: https://plus.google.com/photos/114307296088529300771/albums/5231511121294891921?authkey=CIHN_ZWKvZSciwE. Webb Cemetery of Johnson County, Illinois, at Find a Grave: http://www.findagrave.com/cgi-bin/fg.cgi?page=cr&CRid=108770&CScn=Webb+Cemetery&CScntry=4&CSst=16&. Webb, Joseph Morris, "joseph webb's blog," an online autobiography: http://joseph-webb.blogspot.com/2008/07/1-introduction.html. The founding fathers of this town asked their attorney, Abraham Lincoln, for permission to name this new community after him. and he agreed. On the first day lots were publicly sold--August 27, 1853--, Abraham Lincoln, near the site of the train depot, used watermelon juice to christen the town as Lincoln, Illinois. It thus became the first town named for Abraham Lincoln before he became famous.